We carry a large range of well-known quality brands of supplements such as Europharma, Nordic Naturals, Herb Pharm, New Chapter,Enzymatic Therapy, Flora and Now brands. We serve people who are interested in alternative medicine who may have been advised by their healthcare provider to start taking specific supplements, and also anyone that simply wants to improve or maintain their health in a more natural way. Often, especially for specific health concerns, the amount of nutrients needed for physical, mental and emotional improvement are not feasibly possible through diet alone, especially if eating a fresh and organic diet consistently isn’t an economical or easily accessible option. Dr. Oz has been a large inspiration to many in the community to try new products. When there is a demand for a supplement seen on his show we often start carrying it if we are able to! Special orders are another option for in-demand products if we don’t carry them in the store. Buying in bulk as a member saves in the supplement section as well, but you don’t have to be a co-op member to special order single items in the store for purchase. Our staff has had training on special brands and products as well as a wide variety of ailments that have been improved by supplement use along with a healthy diet and lifestyle. We pride ourselves on taking the time to go the extra mile to help you find what you need, and no less! 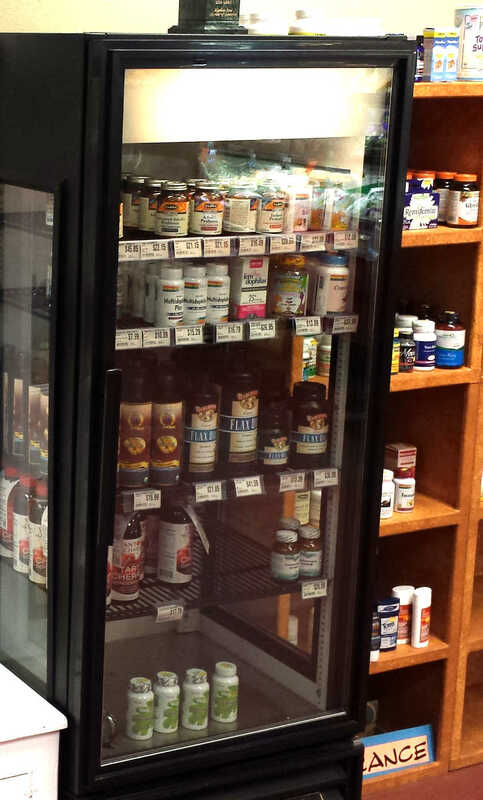 If you are confused about supplements you are considering purchasing, reach out and ask a Natural Abundance employee.